Abstract: Massive evaporites were discovered in the Soltvadkert Trough (Great Plain, Hungary) correlating to the Badenian Salinity Crisis (13.8 Ma, Middle Miocene) on the basis of nannoplankton and foraminifera biostratigraphy. 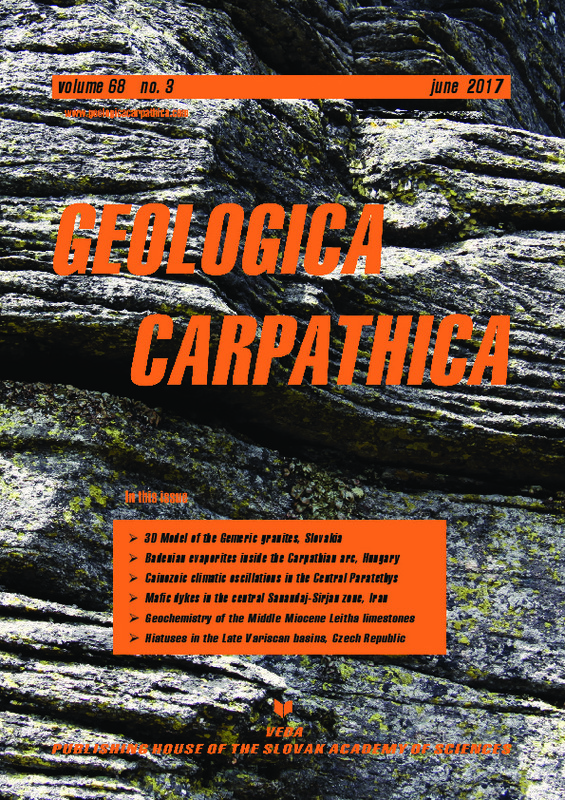 This new occurrence from Hungary previously thought to be devoid of evaporites is part of a growing body of evidence of evaporitic basins inside the Carpathian Arc. We suggest the presence of evaporites perhaps in the entire Central Paratethys during the salinity crisis. Different scenarios are suggested for what subsequently happened to these evaporites to explain their presence or absence in the geological record. Where they are present, scenario A suggests that they were preserved in subsiding, deep basins overlain by younger sediments that protected the evaporites from reworking, like in the studied area. Where they are absent, scenario B suggests recycling. Scenario B explains how the supposedly brackish Sarmatian could have been hyper/normal saline locally by providing a source of the excess salt from the reworking and dissolving of BSC halite into seawater. These scenarios suggest a much larger amount of evaporites locked up in the Central Paratethys during the salinity crisis then previously thought, probably contributing to the step-like nature of cooling of the Mid Miocene Climate Transition, the coeval Mi3b.